along with unmatched training and support services. We are on a mission to make your tracking, reporting and analysis easier through core processes that work for you. 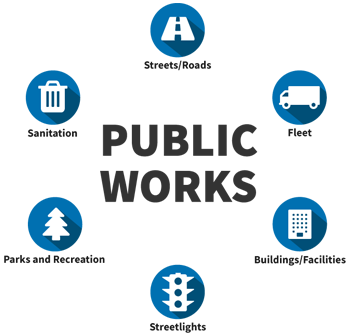 As a market leader, we offer simple software solutions for municipalities, public works or utilities, that meet complicated reporting and regulatory needs. We help you to kick the excel sheet by providing simplified, electronic solutions that meet your needs efficiently. Setting us apart we offer something other vendors cannot, features and add-ons that can be integrated seamlessly within your existing platform. All our software is customer-driven focused to provide a solution that works for you, not the other way around. Nothing is more important to the public infrastructure than utilities. 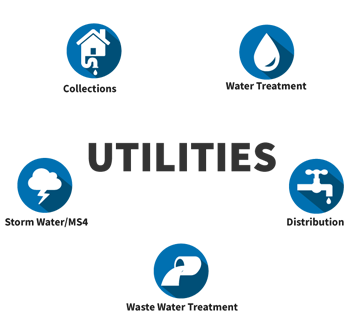 The demands for detailed water (Water Treatment, Waste Water Treatment, Distribution, Collections, Storm Water/MS4) and electricity is crucial for municipalities’ management. Strict reporting standards and accurate measures are required to meet government regulation and compliancy. Public Works Administration can cover a broad range of project needs from government facilities management to public construction improvements; the technology needs are constantly changing. Government regulation requires pinpoint data accuracy to assure compliance is met at the local, state and federal government levels. In addition, funding analysis is crucial for federal appropriations adherence and continued annual support.